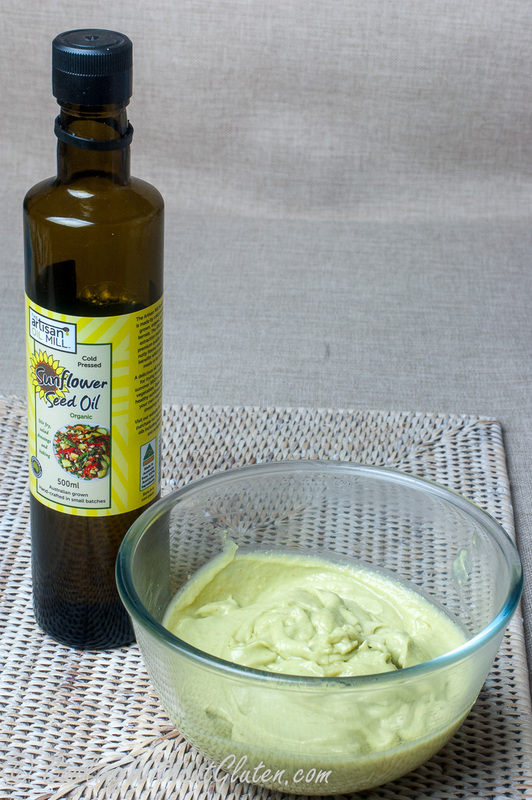 I have been making my own avocado mayonnaise for quite some time, using cold pressed olive oil, trying to get the organic variety with minimum flavour, as I personally do not like the sometimes intense smell and taste of olive oil. With organic cold pressed sunflower seed oil, handcrafted in small batches on a family farm in Victoria, sent to me by the manufacturer Pepo Farms, it was an easy choice to use this artisan oil to make egg free avocado mayonnaise. Egg free option for my homemade mayonnaise was selected not due to intolerance and allergy issues, but because I planned to use it in dishes that do not require heating and might be stored and transported, or used for young babies. 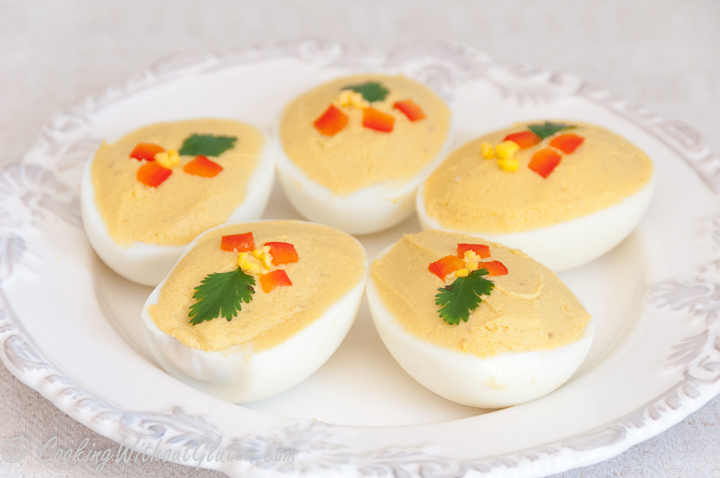 I simply wanted to exclude any complications that can arise from using raw egg yolk in dishes made for not an immediate consumption. 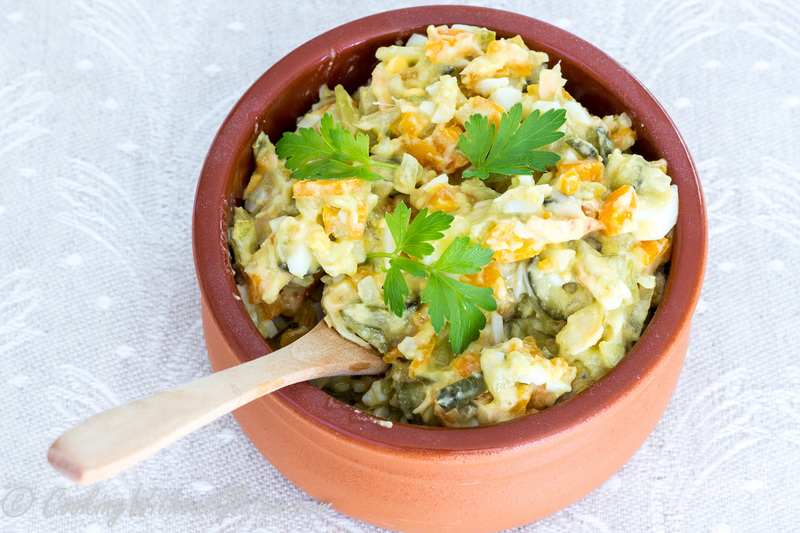 However, egg free option widens the use of mayonnaise as quality nutritious dressing in many salads, sandwiches etc. 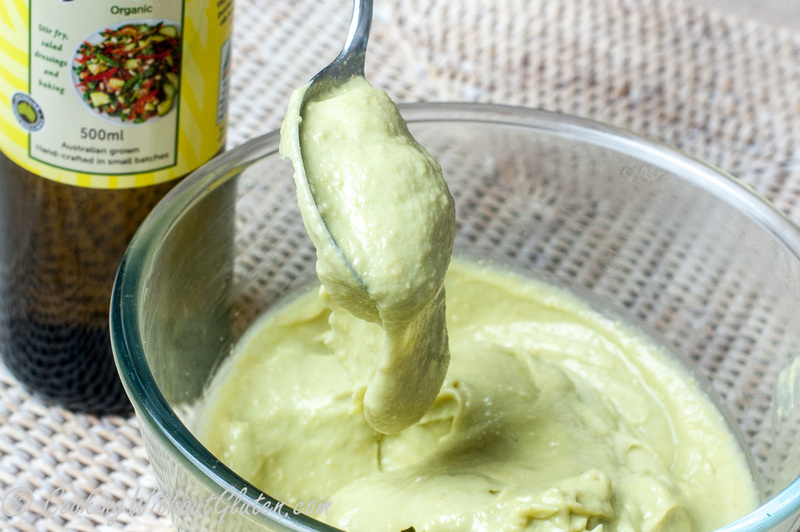 Avocado and sunflower mayonnaise is easy to prepare from a short list of readily available ingredients. For those who can tolerate commercial mustard, it is a matter of 10-15 minutes to create smooth, thick and creamy mayonnaise, that can be further enriched by additional flavours of spices and herbs you like. As I usually prepare this mayonnaise in gluten, grain, sugar and additives free option, I use my own homemade mustard. 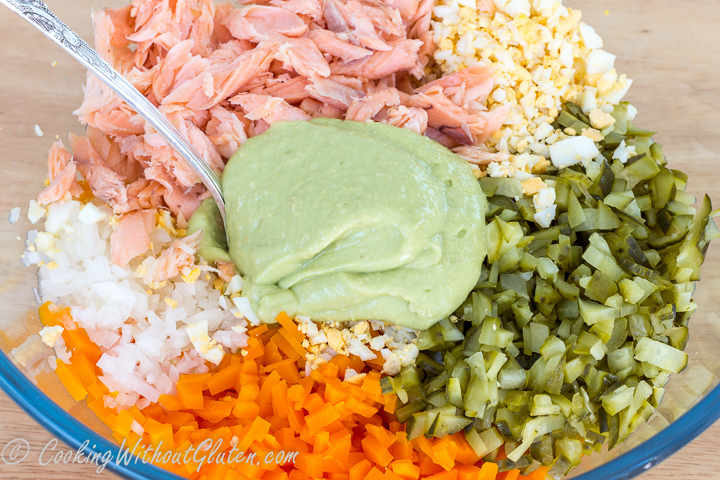 Additionally to all of popular mayonnaise uses, I use avocado mayonnaise for smoked trout salad and to prepare devilled eggs. 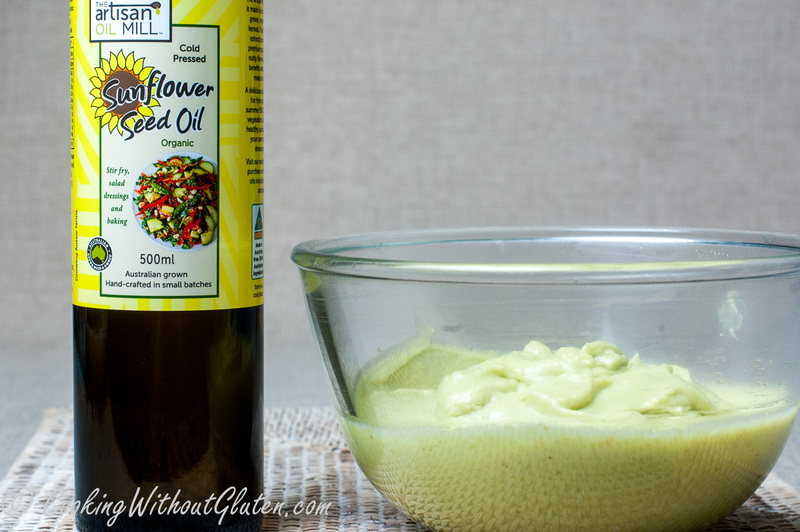 The taste of sunflower seed oil comes out in mayonnaise in a more vibrant way, compared to the use of the oil as a simple dressing in fresh vegetables salad. 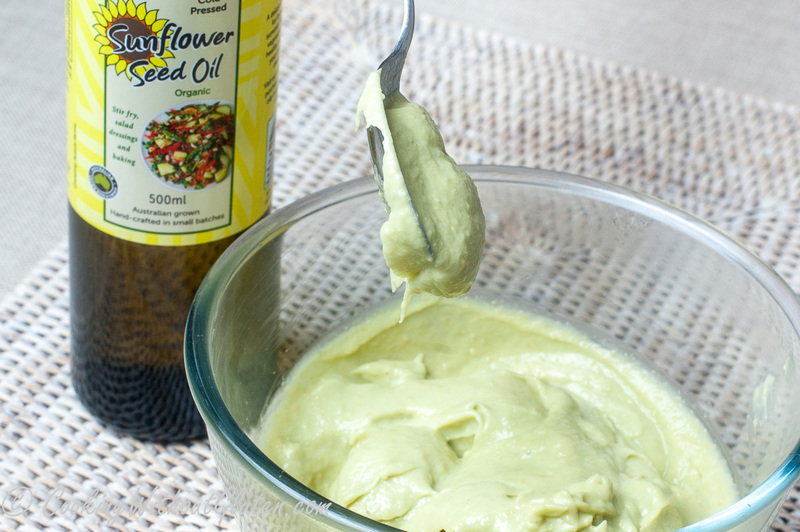 I like avocado mayonnaise much better with sunflower seed oil, it has more interesting and sophisticated flavour. It also blends both avocado and mustard flavours together, when neither of them dominate individually.